The following is small compilation of mods that I recommend using. They are not mandatory, but they may make things easier for you. Automatic crash reporting, the crash reports can be found here. It's an awesome mod that helps mod developers fix crashes way faster. LunatriusCore's update notifications will be replaced with an entry in Version Checker if the mod is installed. Bug reports without log files will most likely be ignored. Make sure you use the latest version of the mod. Bugs are usually fixed within a few days of reporting the bug. Upload (copy&paste) .minecraft/logs/fml-client-latest.log to https://gist.github.com/ and add the link to it to the post. Note: if the crash is on the server upload fml-server-latest.log instead. Describe what you were doing when the mod crashed. The more details, the easier for me to fix it as soon as possible. If something doesn't look right, add screenshots or optionally a video if you can. The client crashed as soon as I clicked the "Mod Options..." button. ATTENTION! This is a REQUIRED mod in order for any of the other mods to work in 1.7.2 or later. It contains the core shared classes used by all mods I release. If you don't install it along with any of the other mods here, Minecraft will crash. You have been warned! Display various information directly on your ingame screen. This mod is a "fork" of bspkrs' version which he kept updated for all Minecraft versions from 1.0 to 1.6.4 (the original author of the mod is DaftPVF). Color codes (&f, &a, &r) have to use the $ symbol instead of the & symbol (&f => $f, &a => $r, ...). The syntax for boolean tags (slimes, daytime, raining, ...; check the download page for a list of all tags) has changed a bit. Example: The slime tag has to be changed from <slimes[yes/no]> to <if[slimes[yes/no]]>. Special thanks to BioMasterZap for the mod spotlight! Add laser markers to make building (repetitive) structures easier! Open the GUI with F12 (configurable). Allows you to track entity movement (excluding players). Can be used to debug various contraptions (TNT cannons, falling sand entities, etc). Groups all items of the same type and experience orbs into stacks of a maximum of 2048 127 items. For example: 6 towers, 64 high of sand will give you 384 10~20 entities. With this mod I ended up with 3 entities. Cool, eh? This mod will apply config "patches" (regular, stripped down config files) from "config-override" to your "config" directory. Directories inside "config-override" are different patch sets (ie: aa-test, modpack, zz-my-client-settings etc). To configure the mod use "Mods" on the main screen or "Mod Options..." in-game, then selecting the mod and clicking "Config". In alphabetical order. Make sure to check out their awesome mods! ... and everyone else who contributed, suggested things, reported bugs or helped in any other way. You guys rock! All mods and their sources are released under the terms of the MIT license. Modpacks: you can freely include any of the mods in your mod pack if the modpack is free or private. Mentioning me as the author is appreciated but not required. 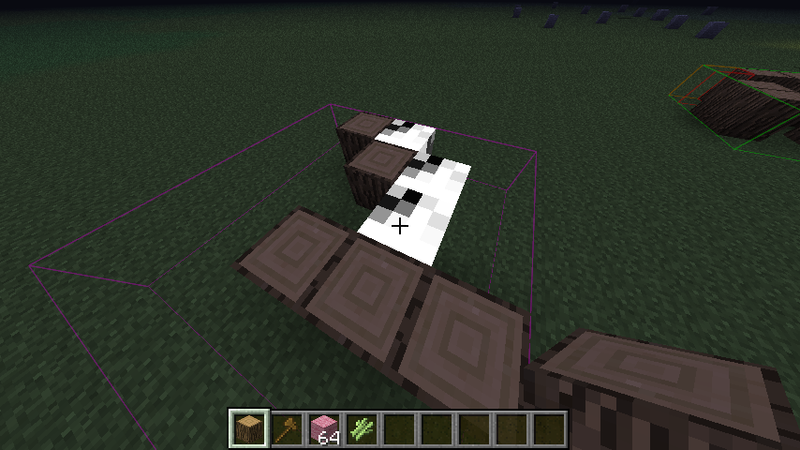 The renderer no longer checks for blocks. Instead it creates a virtual spider and zombie entity as a reference to check for spawnable blocks. Human language: it's more accurate now. Released the schematic renderer for 1.2.5. Links, screenshots and description in the first post. Updated the Schematic Renderer to 1.1. You may now import schematic files of any size - it will only render blocks in a 20 radius by default (can be changed to anything up to 50). You are also able to flip and rotate schematics by using + and -. looks pretty cool. definitely gonna try it out. Monsters Spawn Highlighter dosen't work,It creates a config file but simply dosen't work,pressing L or any other bind dosen't work. Sorry for the late response, was getting bombarded with the free "gift code threads" and I totally missed your response. What are you using, Forge or ModLoader? And do you have any other mods that might use the L key as a key binding? Also updated the schematic renderer to 1.1.1. It will now no longer draw blocks that are already placed (decreases the amount of blocks that have to be drawn and the derpy effect is gone - basically textures overlapped almost every tick). Also moved the changelog to the zip/jar files in case you're interested checking them out. Released the Stack Drops mod. This brings the upcoming feature (in 1.3) to 1.2.5. If you have huge farms or anything that produced a lot of drops, this will help you a lot. On my 29x8 wheat farm I usually got about 700 drops - 700 entities which caused huge lags spikes. Now I'm getting about 100 entities when I start harvesting and about 3 or 4 when they all get to my collection point. Updated the Schematic Renderer. The user doesn't have to go into the config at all and all schematics are loaded on the fly from .minecraft/schematics/ (put all your schematics into the folder and when you're in just use the load item to load the next schematic - it can't get simpler). Updated the Stack Drops mod. It will now stack experience orbs as well. These can be packed into a single orb if they're close enough together (0.75 blocks), which gets rid of a lot of lag when collecting them one by one. I like your Schematic render mod! It's kinda how FVDisco shows his redstone creation builds at the end with the same function you use! Awesome. On another note, updated the Stackie mod. I've optimized the stacking code and moved it into a separate package for a smoother update to 1.3 when it's out. I've also added a config file that has some basic configuration available (some people might want the stacking range higher/lower). Edit: forgot one thing. I moved the adf.ly links behind the direct links (they're optional, I won't really mind because I don't have enough downloads to begin with ;)). Released, the Stackie mod for CraftBukkit. I used craftbukkit-1.2.5-R4.1-MCPC-SNAPSHOT-176.jar to compile it and it works fine on my end. Make sure to go check out AbrarSyed's mods and thank him. He was the one to bug me for the past 2 days, he's the one who made me release a server version before 1.3 (even though it's just 1(2?) days before the 1.3 release). Updated Schematica, being the last 1.2.5 update (unless I have to fix a critical bug) for anyone staying on 1.2.5. You can now load schematics from a texturepack-like selection (AbrarSyed's suggestion :)). You may also save parts of your world as a schematic file, allowing you to share your creations with your friends or to assist people. The items that were added in the previous version were replaced with a GUI along with optional keybindings that can be turned on from the config. Updated Schematica and added layer by layer rendering. Also fixed some issues with mod blocks and it should correctly load/save the schematic files now. Blocks that are different from the blocks in the schematic will have a red border. This is just an indicator to show if you did something wrong (ignore them for building blocks etc). Hey i am having a issue with your mod. The schematic rendering does not seem to be working properly. I just renders black and white blocks instead of the blocks in the schematic. I am using forge 3.4.9.171 and just your mod. Other than this problem it looks like a awesome mod and i hope that it gains some traction soon and more people start to see it. Sorry, didn't notice the post earlier (MCF doesn't send out email notifications for some reason :/). What exactly are those blocks? Vanilla or mod blocks? Mod blocks that use the addOvverride method to set the texture don't work yet, because I haven't figured out a way to include them.